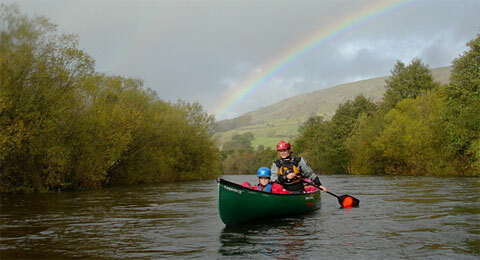 What is the difference between a canoe and a kayak? Many people are confused about the meaning of the two names, so here’s a quick guide to what makes a kayak, and what makes a canoe. In a canoe, the paddler uses a single-blade paddle. The boat is generally ‘open’ to the elements and the paddler adopts a paddling position by kneeling on one knee, both knees, or by sitting down. An open canoe can be defined as an OC. An OC1 would be an open canoe with one paddler. An OC2 would be an open canoe with two paddlers. A closed cockpit canoe, as used in canoe slalom or on white water rivers, can be defined as a C1 (one paddler) or a C2 (two paddlers). What’s the difference between a canoe and a kayak? This is a canoe, in which a single bladed paddle is used, and the seating area is open to the elements. A paddle with two blades would be hard to use in a boat this wide. 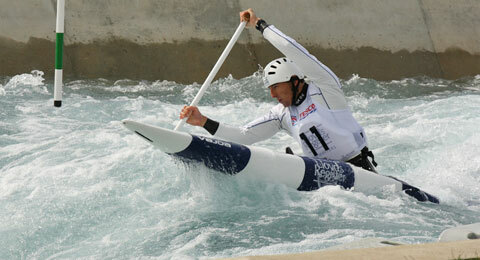 World champion slalom paddler David Florence paddles a C1 canoe at the Lee Valley Olympic Course. In a kayak, the paddler is seated in a cockpit and uses a two-blade paddle. The paddler may also wear a spray deck to keep water out of the cockpit. 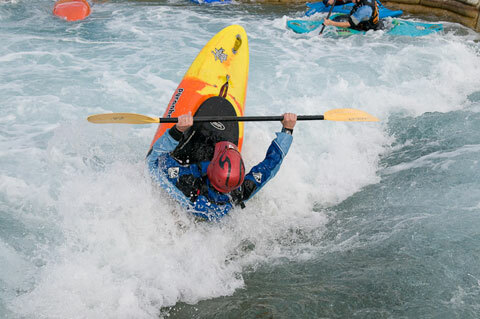 Kayaks and canoes are used across a wide range of water sports. Different designs allow for single or multiple paddlers in one boat. A kayak is controlled using a paddle with a blade at either end. A spray deck may be worn around the waist to keep water out of the cockpit, in which the paddler sits. 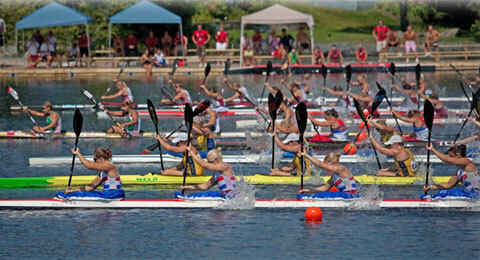 A K4 sprint race, with four paddlers in each kayak. Image credits: Andy Waddington, Barbara Schraml, Bobby Chen and the BCU.